We have designed our Express Granite program to put beautiful, quality, granite countertops within reach of more budget-minded clients. By purchasing our slabs in bulk, cutting for yield, and offering only the lowest cost design options, you will be surprised to find how affordable natural granite countertops can be. Available in 2CM or 3CM thickness. 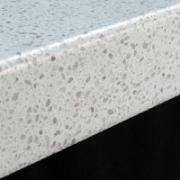 To keep prices low, Express Quartz and Granite are only offered in limited colors. It is available in 3CM thickness and always in stock for lightning quick turnaround times. Click here to learn about your edge options. No countertop is finished without deciding on a backsplash. 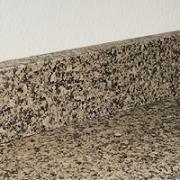 We offer a number of choices for our Express Granite clients. 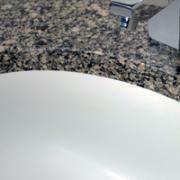 Express Granite comes with several sink options. Even though our Express program is designed to be affordable, you’ll still find plenty of choices.